Steel roofing is much in trend because they have excellent durability, strength and are good fire-resistant. They are not only popular for their features in terms of permanence but also for the assortment of profiles and colors they are available in. They can be classified into two arrays, which are snap-lock assembly system and mechanical lock assembly system. Batten seam, T-panel and Double lock are some of the common concealed fastener panels. 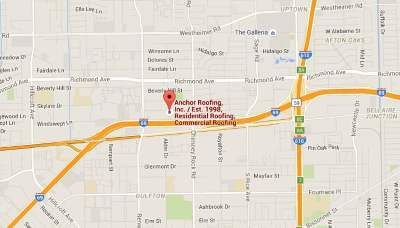 A wide assortment of choices is available to the homeowners in Houston provided by Anchor roofing and they can easily choose for the best ones, in accordance to their requirement while confining to their budget. Everybody exceeds to the fact that roof made up of steel is undoubtedly the best and the most preferred choice; it is highly commendable on the part of the manufacturers of steel roofs that the cost effectiveness, durability, color and design all have been kept in view by them to the complete satisfaction of the purchaser. Steel is essential to resist even the harsh weather conditions. The choice of roofing materials also depends on the features such as humidity, wind, air etc. The endurance of roofing depends upon the metal used in its making and the light weight metal is not long lasting as it will not be able to resist the nature’s adversities such as strong rain and wind storms. Since they come in a wide assortment of designs and colors they are much attractive as compared to that of others. Any type of steel roofing is inflammable and that undoubtedly includes steel, therefore it is safe to use such metal. Steel roofing has low maintenance cost since they do not perish. They are long lasting with no problems of mildew and staining. Steel roof are resistant to snow, ice, wind and hail shedding that is why their performance is exceptionally good. Steel roofing also comes up as an exceptional method of re-roofing existing roofs and enhances the building’s value. Metal roofing made up of steel is tough as well as attractive. Even in the event of strong winds and earthquakes, it will have durability, robustness and sturdiness. When compared to ribbed fiber glass, steel is the much better option. It has been noticed that in Houston, people prefer steel roofing whenever they go in for their home renovation or makeover because steel is undoubtedly a life-time investment. Conventional roofing requires be repairing or restoring over a period of years. Also, with the passage of time, it loses its luster, color and gets depleted. On the other hand, steel roofing will unquestionably retain its sheen and color. One should not forget to consider the installation expenses concerned with installing steel roofing because depending upon the type of material, the installation expenses may vary. Steel roofing is not only advantageous to the home owner but also to the builder and the surrounding environment. The installation of steel roofing takes less time and the superiority of the product is consistent. It is easy and convenient to work with and comes in a wide assortment of designs, now weight no longer for making your dreams true by having a house of your own choice through Anchor roofing. Contact Houston roof leakage repair companies for reconstruction and leakage of your roof.